Edward de Vere, 17th Earl of Oxford (/də ˈvɪər/; 12 April 1550 – 24 June 1604) was an English peer and courtier of the Elizabethan era. Oxford was heir to the second oldest earldom in the kingdom, a court favourite for a time, a sought-after patron of the arts, and noted by his contemporaries as a lyric poet and court playwright, but his reckless and volatile temperament precluded him from attaining any courtly or governmental responsibility and contributed to the dissipation of his estate. Since the 1920s he has been the most popular alternative candidate proposed for the authorship of Shakespeare's works. De Vere was the only son of John de Vere, 16th Earl of Oxford, and Margery Golding. After the death of his father in 1562, he became a ward of Queen Elizabeth and was sent to live in the household of her principal advisor, Sir William Cecil. He married Cecil's daughter, Anne, with whom he had five children. De Vere was estranged from her for five years after he refused to acknowledge her first child as his. De Vere was a champion jouster and travelled widely throughout Italy and France. He was among the first to compose love poetry at the Elizabethan court, and he was praised as a playwright, though none of his plays survive. A stream of dedications praised De Vere for his generous patronage of literary, religious, musical, and medical works, and he patronised both adult and boy acting companies, as well as musicians, tumblers, acrobats and performing animals. He fell out of favour with the Queen in the early 1580s and was exiled from court after impregnating one of her maids of honour, Anne Vavasour, which instigated violent street brawls between De Vere's retainers and her uncles. De Vere was reconciled to the Queen in 1583, but all opportunities for advancement had been lost. In 1586, the Queen granted De Vere a £1,000 annuity to relieve his financial distress caused by his extravagance and selling off his income-producing lands for ready money. After his wife's death, he married Elizabeth Trentham, one of the Queen's maids of honour, with whom he had an heir, Henry de Vere. He died in 1604, having lost the entirety of his inherited estates. De Vere was born heir to the second oldest earldom in England at the De Vere ancestral home, Hedingham Castle, in Essex, north-east of London. He was the only son of John de Vere, 16th Earl of Oxford, and his second wife, Margery Golding. He was probably named to honour Edward VI, from whom he received a gilded christening cup. He had an older half-sister, Katherine, the child of his father's first marriage to Dorothy Neville, and a younger sister, Mary de Vere. 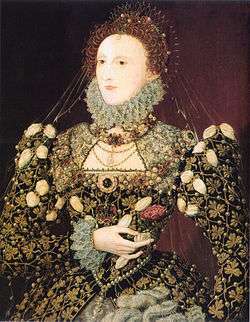 Both his parents had established court connections: the 16th Earl accompanying Princess Elizabeth from house arrest at Hatfield to the throne, and the countess being appointed a maid of honour in 1559. De Vere was styled Viscount Bulbeck and raised in the Protestant reformed faith. Like many children of the nobility, he was raised by surrogate parents, in his case in the household of Sir Thomas Smith. At eight he entered Queens' College, Cambridge, as an impubes, or immature fellow-commoner, later transferring to St John's. Thomas Fowle, a former fellow of St John's College, Cambridge, was paid £10 annually as De Vere's tutor. His father died on 3 August 1562, shortly after making his will. Because he held lands from the Crown by knight service, his son became a royal ward of the Queen and was placed in the household of Sir William Cecil, her secretary of state and chief advisor. At 12, De Vere had become the 17th Earl of Oxford, Lord Great Chamberlain of England, and heir to an estate whose annual income, though assessed at approximately £2,500, may have run as high as £3,500 (£1.06 million as of 2016). William Cecil, 1st Baron Burghley, the Queen's Secretary of State and De Vere's father-in-law, c. 1571. While living at the Cecil House, De Vere's daily studies consisted of dancing instruction, French, Latin, cosmography, writing exercises, drawing, and common prayers. During his first year at Cecil House, Oxford was briefly tutored by Laurence Nowell, the antiquarian and Anglo-Saxon scholar. In a letter to Cecil, Nowell explains: "I clearly see that my work for the Earl of Oxford cannot be much longer required", and his departure after eight months has been interpreted as either a sign of the thirteen-year-old De Vere's intractability as a pupil, or an indication that his precocity surpassed Nowell's ability to instruct him. In May 1564 Arthur Golding, in his dedication to his Th' Abridgement of the Histories of Trogus Pompeius, attributed to his young nephew an interest in ancient history and contemporary events. In 1563 De Vere's older half-sister, Katherine, then Baroness Windsor, challenged the legitimacy of the marriage of De Vere's parents in the Ecclesiastical court. His uncle Golding argued that the Archbishop of Canterbury should halt the proceedings since a proceeding against a ward of the Queen could not be brought without prior licence from the Court of Wards and Liveries. Some time before October 1563 De Vere's mother married Charles Tyrrell, a Gentleman Pensioner. In May 1565 she wrote to Cecil, urging that the money from family properties set aside for de Vere's use during his minority by his father's will should be entrusted to herself and other family friends to protect it and ensure that he would be able to meet the expenses of furnishing his household and suing his livery when he reached his majority; this last would end his wardship though cancelling his debt with that Court, and convey the powers attached to his title. There is no evidence that Cecil ever replied to her request. She died three years later, and was buried beside her first husband at Earls Colne. de Vere's stepfather, Charles Tyrrell, died in March 1570. In August 1564 de Vere was among 17 nobles, knights and esquires in the Queen's entourage who were awarded the honorary degree of Master of Arts by the University of Cambridge, and was awarded another by Oxford University on a Royal progress in 1566. His future father-in-law, William Cecil, also received honorary degrees of Master of Arts on the same progresses. There is no evidence De Vere ever received a Bachelor of Arts degree. In February 1567 he was admitted to Gray's Inn to study law. On 23 July 1567, while practising fencing in the backyard of Cecil House in the Strand, the seventeen-year-old Oxford killed Thomas Brincknell, an under-cook in the Cecil household. At the coroner's inquest the next day, the jury, which included De Vere's servant and Cecil's protégé, the future historian Raphael Holinshed, found that Brincknell, drunk, had deliberately committed suicide by running onto Oxford's blade. As a suicide he was not buried in consecrated ground, and all his worldly possessions were confiscated, leaving his pregnant wife destitute. She delivered a still-born child shortly after Brinknell's death. Cecil later wrote that he attempted to have the jury find for de Vere's acting in self-defence. Records of books purchased for De Vere in 1569 attest to his continued interest in history, as well as literature and philosophy. Among them were editions of a Geneva Bible gilt, Chaucer, Plutarch, two books in Italian, and folio editions of Cicero and Plato. In the same year Thomas Underdowne dedicated his translation of the Æthiopian History of Heliodorus to de Vere, praising his 'haughty courage', 'great skill' and 'sufficiency of learning'. de Vere made the acquaintance of the mathematician and astrologer John Dee in the winter of 1570 and became interested in occultism, studying magic and conjuring. In November of 1569, de Vere petitioned Cecil for a foreign military posting. Although the Catholic Revolt of the Northern Earls had broken out that year, Elizabeth refused to grant the request. Cecil eventually obtained a position for him under the Earl of Sussex in a Scottish campaign the following spring. de Vere and Sussex became staunch mutual supporters at court. de Vere received his first vote for membership in the Order of the Garter in 1569, but never attained the honour in spite of his high rank and office. On 12 April 1571, de Vere attained his majority and took his seat in the House of Lords. Great expectations attended his coming of age; Sir George Buc recalled predictions that 'he was much more like ... to acquire a new erldome then to wast & lose an old erldom', a prophecy that was never fulfilled. Although formal certification of his freedom from Burghley's control was deferred until May 1572, de Vere was finally granted the income of £666 which his father had intended him to have earlier, but properties set aside to pay his father's debts would not come his way for another decade. During his minority as the Queen's ward, one third of his estate had already reverted to the Crown, much of which Elizabeth had long since settled on Robert Dudley. Elizabeth demanded a further payment of £3,000 for overseeing the wardship and a further £4,000 for suing his livery. De Vere pledged double the amount if he failed to pay when it fell due, effectively risking a total obligation of £21,000. By 1571, de Vere was a court favourite of Elizabeth's. In May, he participated in the three-day tilt, tourney and barrier, where although he did not win he was given chief honours in celebration of the attainment of his majority, his prowess winning admiring comments from spectators. In August, De Vere attended Paul de Foix, who had come to England to negotiate a marriage between Elizabeth and the Duke of Anjou, the future King Henry III of France. His published poetry dates from this period and, along with Edward Dyer he was one of the first courtiers to introduce vernacular verse to the court. In 1562, the 16th Earl of Oxford had contracted with Henry Hastings, 3rd Earl of Huntingdon, for his son Edward to marry one of Huntingdon's sisters; when he reached the age of eighteen, he was to choose either Elizabeth or Mary Hastings. However, after the death of the 16th Earl, the indenture was allowed to lapse. Elizabeth Hastings later married Edward Somerset, while Mary Hastings died unmarried. In the summer of 1571, de Vere declared an interest in Cecil's fourteen-year-old daughter, Anne, and received the queen's consent to the marriage. 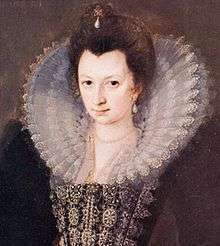 Anne had been pledged to Philip Sidney two years earlier, but after a year of negotiations Sidney's father, Sir Henry, was declining in the Queen's favour and Cecil suspected financial difficulties. 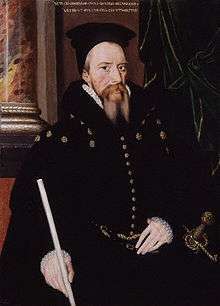 In addition, Cecil had been elevated to the peerage as Lord Burghley in February 1571, thus elevating his daughter's rank, so the negotiations were cancelled. Cecil was displeased with the arrangement, given his daughter's age compared to De Vere's, and had entertained the idea of marrying her to the Earl of Rutland instead. The wedding was deferred until Anne was fifteen and finally took place at the Palace of Whitehall on 16 December 1571, together with that of Lady Elizabeth Hastings and Lord Herbert, with the Queen in attendance. The tying of two young English noblemen of great fortune into Protestant families was not lost on Elizabeth's Catholic enemies. Burghley gave de Vere a marriage settlement of land worth £800, and a cash settlement of £3,000. This amount was equal to de Vere's livery fees and was probably intended to be used as such, but the money vanished without a trace. de Vere assigned Anne a jointure of some £669, but even though he was of age and a married man, he was still not in possession of his inheritance. After finally paying the Crown the £4,000 it demanded for his livery, he was finally licensed to enter on his lands in May. He was entitled to yearly revenues from his estates and the office of Lord Great Chamberlain of approximately £2,250, but he was not entitled to the income from his mother's jointure until after her death, nor to the income from certain estates set aside to pay his father's debts until 1583. In addition, the fines assessed against de Vere in the Court of Wards for his wardship, marriage and livery already totalled some £3,306. To guarantee payment, de Vere entered into bonds to the Court totalling £11,000, and two further private bonds for £6,000 apiece. In 1572, de Vere's first cousin and closest relative, the Duke of Norfolk, was found guilty of a Catholic conspiracy against Elizabeth and was executed for treason. de Vere had earlier petitioned both the Queen and Burghley on the condemned Norfolk's behalf, to no avail, and it was claimed in a "murky petition from an unidentified woman" that he had plotted to provide a ship to assist his cousin's escape attempt to Spain. The following summer De Vere planned to travel to Ireland; at this point, his debts were estimated at a minimum of £6,000. In the summer of 1574, Elizabeth admonished de Vere "for his unthriftyness", and on 1 July de Vere bolted to the continent without permission, travelling to Calais with Lord Edward Seymour, and then to Flanders, "carrying a great sum of money with him". Coming as it did during a time of expected hostilities with Spain, Mary, Queen of Scots, interpreted his flight as an indication of his Catholic sympathies, as did the Catholic rebels then living on the continent. Burghley, however, assured the queen that De Vere was loyal, and she sent two Gentlemen Pensioners to summon him back under threat of heavy penalties. De Vere returned to England by the end of the month and was in London on the 28th. His request for a place on the Privy Council was rejected, but the queen's anger was abated and she promised him a licence to travel to Paris, Germany, and Italy on his pledge of good behaviour. Elizabeth issued De Vere a licence to travel in January 1575, and provided him with letters of introduction to foreign monarchs. Prior to his departure, De Vere entered into two indentures. In first contract he sold his manors in Cornwall, Staffordshire and Wiltshire to three trustees for £6,000. In the second, since he had no heirs and if he should die abroad the estates would pass to his sister, Mary, he entailed the lands of the earldom on his first cousin, Hugh Vere. The indenture also provided for payment of debts amounting to £9,096, £3,457 of which was still owed to the Queen as expenses for his wardship. De Vere left England in the first week of February, and a month later was presented to the King and Queen of France. News that Anne was pregnant had reached him in Paris, and he sent her many extravagant presents in the coming months. But somewhere along the way his mind was poisoned against Anne and the Cecils, and he became convinced that the expected child was not his. The elder Cecils loudly voiced their outrage at the rumours, which probably worsened the situation. In mid-March he travelled to Strasbourg, and then made his way to Venice, via Milan. Although his daughter, Elizabeth, was born at the beginning of July, for unexplained reasons De Vere did not learn of her birth until late September. He was so taken with Italian culture and language during his travels that after his return he became known as the "Italian Earl" at court. He is recorded by Stow as having introduced various Renaissance fashions to court which immediately became fashionable, such as embroidered or trimmed scented gloves. Elizabeth had a pair of decorated gloves scented with perfume that for many years was known as the "Earl of Oxford's perfume". In January 1576 De Vere wrote to Lord Burghley from Siena about complaints that had reached him about his creditors' demands, which included the Queen and his sister, and directing that more of his land be sold to pay them. De Vere left Venice in March, intending to return home by way of Lyons and Paris; although one later report has him as far south as Palermo in Sicily. At this point the Italian financier Benedict Spinola had lent De Vere over £4,000 for his 15-month-long continental tour, while in England over 100 tradesmen were seeking settlement of debts totalling thousands of pounds. On De Vere's return across the Channel in April, his ship was hijacked by pirates from Flushing who took his possessions, stripped him to his shirt, and might have murdered him had not one of them recognized him. On his return he refused to live with his wife and took rooms at Charing Cross. Aside from the unspoken suspicion that Elizabeth was not his child, Burghley's papers reveal a flood of bitter complaints by De Vere against the Cecil family. Upon the Queen's request, De Vere allowed his wife to attend the Queen at court, but only when De Vere was not present and that she not attempt to speak to him. He also stipulated that Burghley must make no further appeals to him on Anne's behalf. He was estranged from Anne for five years. In February 1577 it was rumoured that De Vere's sister Mary would marry Lord Gerald Fitzgerald (1559–1580), but by 2 July she was linked with Peregrine Bertie, later Lord Willoughby d'Eresby. His mother, the Duchess of Suffolk, wrote to Lord Burghley that "my wise son has gone very far with my Lady Mary Vere, I fear too far to turn". Both the Duchess and her husband Richard Bertie first opposed the marriage, and the Queen initially withheld her consent. De Vere's own opposition to the match was so vehement that for some time Mary's prospective husband feared for his life. On 15 December the Duchess of Suffolk wrote to Burghley describing a plan she and Mary had devised to arrange a meeting between De Vere and his daughter. Whether the scheme came to fruition is unknown. Mary and Bertie were married sometime before March of the following year. De Vere had sold his inherited lands in Cornwall, Staffordshire and Wiltshire prior to his continental tour. On his return to England in 1576 he sold his manors in Devonshire; by the end of 1578 he had sold at least seven more. In 1577 De Vere invested £25 in the second of Martin Frobisher's expeditions in search of the Northwest Passage. In July 1577 he asked the Crown for the grant of Castle Rising, which had been forfeited to the Crown due to his cousin Norfolk's attainder in 1572. As soon as it was granted to him, he sold it, along with two other manors, and sank some £3,000 into Frobisher's third expedition. The 'gold' ore brought back turned out to be worthless, and De Vere lost the entire investment. In the summer of 1578 De Vere attended the Queen's progress through East Anglia. The royal party stayed at Lord Henry Howard's residence at Audley End. A contretemps occurred during the progress in mid-August when the Queen twice requested De Vere to dance before the French ambassadors, who were in England to negotiate a marriage between the 46-year-old Elizabeth and the younger brother of Henri III of France, the 24-year-old Duke of Anjou. De Vere refused on the grounds that he "would not give pleasure to Frenchmen". In April the Spanish ambassador, Bernardino de Mendoza, wrote to King Philip II of Spain that it had been proposed that if Anjou were to travel to England to negotiate his marriage to the Queen, De Vere, Surrey and Windsor should be hostages for his safe return. Anjou himself did not arrive in England until the end of August, but his ambassadors were already in England. De Vere was sympathetic to the proposed marriage, Leicester and his nephew Philip Sidney were adamantly opposed to it. This antagonism may have triggered the famous quarrel between De Vere and Sidney on the tennis court at Whitehall. It is not entirely clear who was playing on the court when the fight erupted; what is undisputed is that De Vere called Sidney a 'puppy', while Sidney responded that "all the world knows puppies are gotten by dogs, and children by men". The French ambassadors, whose private galleries overlooked the tennis court, were witness to the display. Whether it was Sidney who next challenged De Vere to a duel or the other way around, De Vere did not take it further, and the Queen personally took Sidney to task for not recognizing the difference between his status and De Vere's. Christopher Hatton and Sidney's friend Hubert Languet also tried to dissuade Sidney from pursuing the matter, and it was eventually dropped. The specific cause is not known, but in January 1580 De Vere wrote and challenged Sidney; by the end of the month De Vere was confined to his chambers, and was not released until early February. De Vere openly quarrelled with the Earl of Leicester about this time; he was confined to his chamber at Greenwich for some time 'about the libelling between him and my Lord of Leicester'. In the summer of 1580, Gabriel Harvey, apparently motivated by a desire to ingratiate himself with Leicester, satirized De Vere's love for things Italian in verses entitled Speculum Tuscanismi in Three Proper and Witty Familiar Letters. Although details are unclear, there is evidence that in 1577 De Vere attempted to leave England to see service in the French Wars of Religion on the side of King Henry III. Like many members of older established aristocratic families in England, De Vere inclined to Catholicism; after his return from Italy he was reported to have embraced the religion, perhaps after being introduced to a seminary priest, Richard Stephens, by a distant kinsman, Charles Arundell. But just as quickly, late in 1580 he denounced a group of Catholics, among them Arundell, Francis Southwell and Henry Howard, for treasonous activities and asking the Queen's mercy for his own, now repudiated, Catholicism. Elizabeth characteristically delayed in acting on the matter and he was detained under house arrest for a short time. Leicester is credited for having "dislodged De Vere from the pro-French group", i.e., the group at court which favoured Elizabeth's marriage to the Duke of Anjou. The Spanish ambassador, Mendoza, was also of the view that Leicester was behind De Vere's informing on his fellow Catholics in an attempt to prevent the French marriage. Peck concurs, stating that Leicester was "intent upon rendering Sussex's allies politically useless". The Privy Council ordered the arrest of both Howard and Arundell; De Vere immediately met secretly with Arundell to convince him to support his allegations against Howard and Southwell, offering him money and a pardon from the Queen. Arundell refused De Vere's offer, and he and Howard initially sought asylum with Mendoza. Only after being assured they would be placed under house arrest in the home of a Privy Council member, did the pair give themselves up. During the first weeks after their arrest they pursued a threefold strategy: they would admit to minor crimes, prove De Vere a liar by his offers of money to testify to his accusations, and demonstrate that their accuser posed the real danger to the Crown. The extensive list to discredit De Vere included atheism, lying, heresy, disobedience to the crown, treason, murder for hire, sexual perversion and pederasty with his English and Italian servants ("buggering a boy that is his cook and many other boys"), habitual drunkenness, vowing to murder various courtiers and declaring that Elizabeth had a bad singing voice. Arundell and Howard cleared themselves of De Vere's accusations, although Howard remained under house arrest into August, while Arundell was not freed until October or November. None of the three was ever indicted or tried. In the meantime De Vere was at liberty, and won a tournament at Westminster on 22 January. His page's speech at the tournament, describing De Vere's appearance as the Knight of the Tree of the Sun, was published in 1592 in a pamphlet entitled Plato, Axiochus. On 14 April 1589 De Vere was among the peers who found Philip Howard, Earl of Arundel, the eldest son and heir of De Vere's cousin, Thomas, Duke of Norfolk, guilty of treason. Arundel later died in prison. De Vere later insisted that "the Howards were the most treacherous race under heaven" and that "my Lord Howard [was] the worst villain that lived in this earth." During the early 1580s it is likely that the Earl lived mainly at one of his Essex country houses, Wivenhoe, which was sold in 1584. In June 1580 he purchased a tenement and seven acres of land near Aldgate in London from the Italian merchant Benedict Spinola for £2,500. The property, located in the parish of St Botolphs, was known as the Great Garden of Christchurch and had formerly belonged to Magdalene College, Cambridge. He also purchased a London residence, a mansion in Bishopsgate known as Fisher's Folly. According to Henry Howard, De Vere paid a large sum for the property and renovations to it. De Vere's triumph was short-lived. 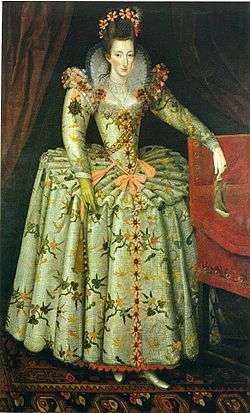 On 23 March 1581 Sir Francis Walsingham advised the Earl of Huntingdon that two days earlier Anne Vavasour, one of the Queen's maids of honour, had given birth to a son, and that "the Earl of Oxford is avowed to be the father, who hath withdrawn himself with intent, as it is thought, to pass the seas". 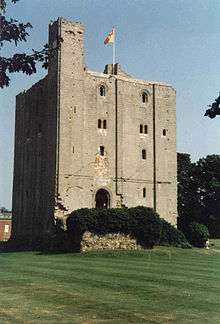 De Vere was captured and imprisoned in the Tower, as was Anne and her infant, who would later be known as Sir Edward Vere. Burghley interceded for him, and he was released from the Tower on 8 June, but he remained under house arrest until sometime in July. While De Vere was under house arrest in May, Thomas Stocker dedicated to him his Divers Sermons of Master John Calvin, stating in the dedication that he had been "brought up in your Lordship's father's house". De Vere was still under house arrest in mid-July, but took part in an Accession Day tournament at Whitehall on 17 November 1581. De Vere was banished from court until June 1583. He appealed to Burghley to intervene with the Queen on his behalf, but his father-in-law repeatedly put the matter in the hands of Sir Christopher Hatton. At Christmas 1581 De Vere reconciled with his wife, Anne, but his affair with Anne Vavasour continued to have repercussions. In March 1582 there was a skirmish in the streets of London between De Vere and Anne's uncle, Sir Thomas Knyvet. De Vere was wounded and his servant killed; reports conflict as to whether Kynvet was also injured. There was another fray between Knyvet's and De Vere's retinues on 18 June, and a third six days later, where it was reported that Knyvet had "slain a man of the Earl of Oxford's in fight". In a letter to Burghley three years later De Vere offered to attend his father-in-law at his house "as well as a lame man might"; it is possible his lameness was a result of injuries from that encounter. On 19 January 1585 Anne Vavasour's brother Thomas sent De Vere a written challenge; it appears to have been ignored. Meanwhile, the street-brawling between factions continued. Another of De Vere's men was slain that month, and in March Burghley wrote to Sir Christopher Hatton about the death of one of Knyvet's men, thanking Hatton for his efforts "to bring some good end to these troublesome matters betwixt my Lord and Oxford and Mr Thomas Knyvet". On 6 May 1583, eighteen months after their reconciliation, Edward and Anne's only son was born, and died the same day. The infant was buried at Castle Hedingham three days later. After intervention by Burghley and Sir Walter Raleigh, De Vere was reconciled to the Queen and his two-year exile from court ended at the end of May on condition of his guarantee of good behaviour. However, he never regained his position as a courtier of the first magnitude. De Vere's father maintained a company of players known as Oxford's Men, which was discontinued by the 17th Earl two years after his father's death. Beginning in 1580, De Vere patronised both adult and boy companies, a company of musicians, and sponsored performances by tumblers, acrobats and performing animals. Oxford's Men toured the provinces during 1580-87. Sometime after November 1583, De Vere bought a sublease of the premises used by the boy companies in the Blackfriars, and then gave it to his secretary, the writer John Lyly. Lyly installed Henry Evans, a Welsh scrivener and theatrical affectionado, as the manager of the new company of Oxford's Boys, composed of the Children of the Chapel and the Children of Paul's, and turned his talents to play writing until the end of June, 1584, when the original playhouse lease was voided by its owner. In 1584–85, "the Earl of Oxford's musicians" received payments for performances in the cities of Oxford and Barnstaple. Oxford's Men (also known as Oxford's Players) stayed active until 1602. On 6 April 1584, De Vere's daughter, Bridget, was born, and two works were dedicated to him, Robert Greene's Gwydonius; The Card of Fancy, and John Southern's Pandora. Verses in the latter work mention De Vere's knowledge of astronomy, history, languages and music. De Vere's financial situation was steadily deteriorating. At this point he had sold almost all his inherited lands, which cut him off from his principal source of income. Moreover, because the properties were security for his unpaid debt to the Queen in the Court of Wards, he had had to enter into a bond with the purchaser, guaranteeing that he would indemnify them if the Queen were to make a claim against the lands to collect on the debt. To avoid this eventuality, the purchasers of his estates agreed to repay De Vere's debt to the Court of Wards in instalments. In 1585 negotiations were underway for King James to come to England to discuss the release of his mother, Mary, Queen of Scots, and in March De Vere was to be sent to Scotland as one of the hostages for James's safety. In 1586, De Vere petitioned the queen for an annuity to relieve his distressed financial situation. His father-in-law made him several large loans, and Elizabeth granted De Vere a £1,000 annuity, to be continued at her pleasure or until he could be provided for otherwise. This annuity was continued by James I. De Vere's widow, Elizabeth, petitioned James I for an annuity of £250 on behalf of her 11-year-old son, Henry, to continue the £1,000 annuity granted to de Vere. Henry ultimately was awarded a £200 annuity for life. James would continue the grant after her death. Another daughter, Susan, was born on 26 May 1587. On 12 September, another daughter, Frances, is recorded to be buried at Edmonton. Her birthdate is unknown; presumably she was between one and three years of age. In July Elizabeth granted the Earl property which been seized from Edward Jones, who had been executed for his role in the Babington Plot. In order to protect the land from his creditors, the grant was made in the name of two trustees. At the end of November it was agreed that the purchasers of De Vere's lands would pay his entire debt of some £3,306 due to Court of Wards over a five-year period, finishing in 1592. In July and August 1588 England was threatened by the Spanish Armada. On 28 July Leicester, who was in overall command of the English land troops, asked for instructions regarding De Vere, stating that "he seems most willing to hazard his life in this quarrel". The Earl was offered government of the port of Harwich, but he thought it was unworthy and declined the post; Leicester was glad to be rid of him. In December 1588 De Vere had secretly sold his London mansion of Fisher's Folly to Sir William Cornwallis; by January 1591 the author Thomas Churchyard was dealing with rent owing for rooms he had taken in a house on behalf of his patron. De Vere wrote to Burghley outlining a plan to purchase the manoral lands of Denbigh, in Wales, if the Queen would consent, offering to pay for them by commuting his £1,000 annuity and agreeing to abandon his suit to regain the Forest of Essex (Waltham Forest), and to deed over his interests in Hedingham and Brets for the use of his children, who were living under Burghley's guardianship in his home. In the spring of 1591 the plan for the purchasers of his land to discharge his debt to the Court of Wards was disrupted by the Queen's taking extents, or writs allowing a creditor to temporarily seize a debtor's property. De Vere complained that his servant Thomas Hampton had taken advantage of these writs by taking money from the tenants to his own use, and had also conspired with another of De Vere's servants to pass a fraudulent document under the Great Seal of England. The Lord Mayor, Thomas Skinner, was also involved. In June De Vere wrote to Burghley reminding him that he made an agreement with Elizabeth to relinquish his claim to the Forest of Essex for three reasons, one of which was the Queen's reluctance to punish Skinner's felony, which had caused De Vere to forfeit £20,000 in bonds and statutes. In 1586 Angel Day dedicated The English Secretary, the first epistolary manual for writing model letters in English, to De Vere, and William Webbe praised him as "most excellent among the rest" of our poets in his Discourse of English Poetry. In 1588 Anthony Munday dedicated to De Vere the two parts of his Palmerin d'Oliva. The following year The Arte of English Poesie, attributed to George Puttenham, placed De Vere among a "crew" of courtier poets; he also considered De Vere among the best comic playwrights of the day. In 1590 Edmund Spenser addressed to De Vere the third of seventeen dedicatory sonnets which preface The Faerie Queene, celebrating his patronage of poets. The composer John Farmer, who was in De Vere's service at the time, dedicated The First Set of Divers & Sundry Ways of Two Parts in One to him in 1591, noting in the dedication his patron's love of music. On 5 June 1588 Anne Cecil died at court of a fever; she was 31. On 4 July 1591 De Vere sold the Great Garden property at Aldgate to John Wolley and Francis Trentham. The arrangement was stated to be for the benefit of Francis' sister, Elizabeth Trentham, one of the Queen's Maids of Honour, whom De Vere married later that year. On 24 February 1593 she gave birth to De Vere's only surviving son and heir, Henry de Vere, at Stoke Newington. Between 1591 and 1592 De Vere disposed of the last of his large estates; Castle Hedingham, the seat of his earldom, went to Lord Burghley, it was held in trust for De Vere's three daughters by his first marriage. he commissioned his servant, Roger Harlakenden, to sell Colne Priory. Harlekenden contrived to undervalue the land, then purchase it (as well as other parcels that were not meant to be sold) under his son's name; the suits De Vere brought against Harlakenden for fraud dragged out for decades and were never settled in his lifetime. Protracted negotiations to arrange a match between his daughter Elizabeth and Henry Wriothesley, 3rd Earl of Southampton, did not result in marriage; on 19 November 1594, six weeks after Southampton turned 21, 'the young Earl of Southampton, refusing the Lady Vere, payeth £5000 of present money'. In January Elizabeth married William Stanley, 6th Earl of Derby. Derby had promised De Vere his new bride would have £1,000 a year, but the financial provision for her was slow in materializing. His father-in-law, Lord Burghley, died on 4 August 1598 at the age of 78, leaving substantial bequests to De Vere's two unmarried daughters, Bridget and Susan. The bequests were structured to prevent De Vere from gaining control of his daughters' inheritance by assuming custody of them. Earlier negotiations for a marriage to William Herbert having fallen through, in May or June 1599 De Vere's 15-year-old daughter Bridget married Francis Norris. Susan married Philip Herbert, 4th Earl of Pembroke and Montgomery. From March to August 1595 De Vere actively importuned the Queen, in competition with Lord Buckhurst, to farm the tin mines in Cornwall. He wrote to Burghley, enumerating years of fruitless attempts to amend his financial situation and complained: 'This last year past I have been a suitor to her Majesty that I might farm her tins, giving £3000 a year more than she had made.' De Vere's letters and memoranda indicate that he pursued his suit into 1596, and renewed it again three years later, but was ultimately unsuccessful in obtaining the tin monopoly. In October 1595 De Vere wrote to his brother in law, Sir Robert Cecil, of friction between himself and the ill-fated Earl of Essex, partly over his claim to the property, terming him 'the only person that I dare rely upon in the court'. Cecil seems to have done little to further De Vere's interests in the suit. In March he was unable to go to court due to illness, in August he wrote to Burghley from Byfleet, where he had gone for his health: 'I find comfort in this air, but no fortune in the court.' In September De Vere again wrote of ill health, regretting he had not been able to pay attendance to the Queen. Two months later Rowland Whyte wrote to Sir Robert Sidney that 'Some say my Lord of Oxford is dead'. Whether the rumour of De Vere's death was related to the illness mentioned in his letters earlier in the year is unknown. De Vere attended his last Parliament in December, perhaps another indication of failing health. On 28 April 1599 De Vere was sued by the widow of his tailor for a debt of £500 for services rendered some two decades earlier. De Vere claimed that not only had he paid the debt, but that the tailor had absconded with 'cloth of gold and silver and other stuff' belonging to him, worth £800. The outcome of the suit is unknown. In July 1600 De Vere wrote requesting Sir Robert Cecil's help in securing an appointment as Governor of the Isle of Jersey, once again citing the Queen's unfulfilled promises to him. In February he again wrote for his support, this time for the office of President of Wales. As with his former suits, De Vere was again unsuccessful; during this time he was listed on the Pipe Rolls as owing £20 for the subsidy. After the abortive Essex rebellion in February 1601, De Vere was 'the senior of the twenty-five noblemen' who rendered verdicts at the trials of Essex and Southampton for treason. After Essex's co-conspirator Sir Charles Danvers was executed on in March, De Vere became involved in a complicated suit regarding lands which had reverted to the Crown by escheat at Danvers' attainder, a suit opposed by Danvers' kinsmen. De Vere continued to suffer from ill health, which kept him from court. On 4 December he was shocked that Cecil, who had encouraged him to undertake the Danvers suit on the Crown's behalf, had now withdrawn his support for it. As with all his other suits aimed at improving his financial situation, this last of De Vere's suits to the Queen ended in disappointment. In the early morning of 24 March 1603 Queen Elizabeth died without naming a successor. A few days beforehand De Vere at his house at Hackney had entertained the Earl of Lincoln, a nobleman known for erratic and violent behaviour similar to his host's. Lincoln reported that after dinner De Vere spoke of the Queen's impending death, claiming that the peers of England should decide the succession, and suggested that since Lincoln had 'a nephew of the blood royal...Lord Hastings', he should be sent to France to find allies to support this claim. Lincoln relayed this conversation to Sir John Peyton, Lieutenant of the Tower, who, knowing how physically and financially infirm De Vere was, refused to take Lincoln's report as a serious threat to King James' accession. De Vere expressed his grief at the late Queen's death, and his apprehension for the future. These fears were unfounded; in letters to Cecil in May and June 1603 he again pressed his decades-long claim to have Waltham Forest (Forest of Essex) and the house and park of Havering restored to him, and on 18 July the new King granted his suit. On 25 July De Vere was among those who officiated at the King's coronation, a month later James confirmed De Vere's annuity of £1,000. On 18 June 1604 De Vere granted the custody of the Forest of Essex to his son-in-law Lord Norris and his cousin, Sir Francis Vere. He died six days later, of unknown causes, at King's Place, Hackney, and was buried on 6 July in the parish church of St. Augustine. In spite of his bouts of ill health, he left no will. Elizabeth's will requested that she be buried with her husband at Hackney. Although this document and the parish registers confirm De Vere's burial there, his cousin Percival Golding later claimed that his body was interred at Westminster. De Vere's manuscript verses circulated widely in courtly circles. Three of his poems, "When wert thou born desire", "My mind to me a kingdom is", and "Sitting alone upon my thought", are among the texts that repeatedly appear in the surviving 16th-century manuscript miscellanies and poetical anthologies. His earliest published poem was "The labouring man that tills the fertile soil" in Thomas Bedingfield's translation of Cardano's Comforte (1573). Bedingfield's dedication to De Vere is dated 1 January 1572. In addition to his poem, De Vere also contributed a commendatory letter setting forth the reasons why Bedingfield should publish. In 1576 eight of his poems were published in the poetry miscellany The Paradise of Dainty Devises. According to the introduction, all the poems in the collection were meant to be sung, but De Vere's were almost the only genuine love songs in the collection. 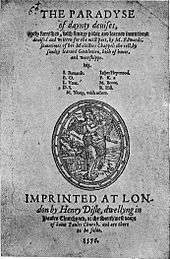 Oxford's "What cunning can express" was published in The Phoenix Nest (1593) and republished in England's Helicon (1600). "Who taught thee first to sigh alas my heart" appeared in The Teares of Fancie (1593). Brittons Bowre of Delight (1597) published "If women could be fair and yet not fond" under Oxford's name, but the attribution today is not considered certain. Contemporary critics praised De Vere as a poet and a playwright. William Webbe names De Vere as "the most excellent" of Elizabeth's courtier poets. Puttenham's The Arte of English Poesie (1589), places De Vere first on a list of courtier poets and included an excerpt of "When wert thou born desire" as an example of "his excellance and wit". Puttenham also says that "highest praise" should be given to De Vere and Richard Edwardes for "Comedy and Enterlude". Francis Meres' Palladis Tamia (1598) names De Vere first of 17 playwrights listed by rank who are "the best for comedy amongst us", and De Vere appears first on a list of seven Elizabethan courtly poets "who honoured Poesie with their pens and practice" in Henry Peacham's 1622 The Compleat Gentleman. Steven W. May writes that De Vere was Elizabeth's "first truly prestigious courtier poet ... [whose] precedent did at least confer genuine respectability upon the later efforts of such poets as Sidney, Greville and Raleigh." He describes De Vere as a "competent, fairly experimental poet working in the established modes of mid-century lyric verse" and his poetry as "examples of the standard varieties of mid-Elizabethan amorous lyric". May says that De Vere’s youthful love lyrics, which have been described as experimental and innovative, "create a dramatic break with everything known to have been written at the Elizabethan court up to that time" by virtue of being lighter in tone and metre and more imaginative and free from the moralizing tone of the courtier poetry of the "drab" age, which tended to be occasional and instructive. and describes one poem, in which the author cries out against "this loss of my good name", as a "defiant lyric without precedent in English Renaissance verse". I stayless stand to abide the shock of shame and infamy. The only loss of my good name, is of these griefs the ground. May says that Oxford's poetry was "one man's contribution to the rhetorical mainstream of an evolving Elizabethan poetic" indistinguishable from "the output of his mediocre mid-century contemporaries". C. S. Lewis said that de Vere's poetry shows "a faint talent", but is "for the most part undistinguished and verbose." Nelson says that "contemporary observers such as Harvey, Webbe, Puttenham, and Meres clearly exaggerated De Vere's talent in deference to his rank. By any measure, his poems pale in comparison with those of Sidney, Lyly, Spenser, Shakespeare, Donne, and Jonson." He says that his known poems are "astonishingly uneven" in quality, ranging from the "fine" to the "execrable". De Vere was sought for his literary and theatrical patronage, and between 1564 and 1599 28 works were dedicated to him by such authors as Arthur Golding, John Lyly, Robert Greene and Anthony Munday. Of his 33 dedications, thirteen appeared in original or translated works of literature, a higher percentage of literary works than other patrons of similar means. His lifelong patronage of writers, musicians and actors prompted May to term De Vere "a nobleman with extraordinary intellectual interests and commitments", whose biography exhibits a "lifelong devotion to learning". He goes on to say that "Oxford's genuine commitment to learning throughout his career lends a necessary qualification to Stone's conclusion that De Vere simply squandered the more than 70,000 pounds he derived from selling off his patrimony...for which some part of this amount De Vere acquired a splendid reputation for nurture of the arts and sciences". The Oxfordian theory of Shakespeare authorship proposes that de Vere wrote the plays and poems traditionally attributed to William Shakespeare of Stratford-upon-Avon. Though the attribution has been rejected by nearly all academic Shakespeareans, popular interest in the Oxfordian theory persists, and his candidacy was featured in the 2011 Hollywood film Anonymous (directed by Roland Emmerich), in which he was played by Rhys Ifans, and in the documentary Last Will & Testament. In addition, the theory is used as a major plot point in the 2005 novel Shakespeare's Secret, by Elise Broach. ↑ May 1980, pp. 5–8; Nelson 2003, pp. 191–4. ↑ May 2007, p. 61. ↑ May 1991, pp. 53–4; May 2007, p. 62. ↑ Gurr 1996, p. 306. 1 2 May 1980, p. 9. ↑ Chambers 1923, pp. 100–102; Nelson 2003, pp. 391–2. ↑ Pearson 2005, p. 14; Nelson 2003, pp. 34. ↑ Nelson 2003, p. 25. ↑ Nelson 2003, p. 39; Ward 1928, pp. 20–1. ↑ Ward 1928, pp. 23–4:'It is not unknown to others, and I have had experience thereof myself, how earnest a desire your Honour hath naturally grafted in you to read, peruse and communicate with others, as well as the histories of ancient times and things done long ago, as also the present estate of things in our days, and that not without a certain pregnancy of wit and ripeness of understanding'. ↑ Nelson 2003, p. 48:"I did my best to have the jury find the death of a poor man whom he killed in my house to be found se defendendo". ↑ Nelson 2003, p. 52. ↑ Ward 1928, pp. 39–41,48. ↑ May 1980, p. 6. ↑ Nelson 2003, pp. 70–1. ↑ Stow & Howes 1631, p. 868; Nelson 2003, p. 229. ↑ Pearson, Daphne (2005). Edward De Vere (1550–1604): The Crisis And Consequences Of Wardship. Ashgate Publishing, Ltd. p. 103. ISBN 978-0-7546-5088-1. ↑ Nelson 2003, p. 266; Chambers 1936, pp. 155–6. ↑ Nelson 2003, pp. 268–70. ↑ Nelson 2003, p. 380. ↑ Nelson 2003, pp. 277–8. ↑ Ward 1928, pp. 278–80. ↑ Nelson 2003, p. 280. ↑ Nelson 2003, pp. 281–2. ↑ Nelson 2003, pp. 295–6. ↑ Nelson 2003, p. 283. ↑ Nelson 2003, pp. 284–5. ↑ Nelson 2003, pp. 289–90. ↑ Nelson 2003, pp. 290–1. ↑ Nelson 2003, p. 384; May 1991, p. 269. ↑ Records of Early English Drama (REED), accessed 22 March 2013. ↑ Smith 1964, pp. 150–2. ↑ Nelson 2003, pp. 293, 322. ↑ Nelson 2003, p. 382. ↑ Pearson 2005, p. 52. ↑ Nelson 2003, p. 294. ↑ Pearson 2005, pp. 35, 192. ↑ Nelson 2003, p. 296. ↑ Nelson 2003, pp. 300–2. ↑ Nelson 2003, p. 301. 1 2 Nelson 2003, p. 306. ↑ Nelson 2003, pp. 303–6. ↑ Nelson 2003, p. 316. ↑ Nelson 2003, pp. 317–8. ↑ Nelson 2003, pp. 319–20. ↑ Smith 1977, pp. 87–8. ↑ Nelson 2003, pp. 331–2. 1 2 Nelson 2003, p. 334. ↑ Nelson 2003, p. 330. ↑ Nelson 2003, pp. 332–3. ↑ Beebee 1999, p. 32. ↑ Nelson 2003, pp. 386–7. ↑ Puttenham 1936, p. 61. ↑ Puttenham 1936, p. 63. ↑ Nelson 2003, p. 383. ↑ http://www.luminarium.org/renascence-editions/ralegh.html#Commend "...for the loue, which thou doest beare/To th'Heliconian ymps, and they to thee,"
↑ Nelson 2003, p. 381. ↑ Nelson 2003, pp. 309–10. ↑ Nelson 2003, p. 431. ↑ Marotti 1995, p. 126, quoting L. Glenn Black's unpublished Studies in Some Related Manuscript Poetic Miscellanies of the 1580s 2 vols. D. Phil. thesis, Oxford, 1970, v. 1, p. 30. ↑ May 2004, p. 253. ↑ Lewis 1990, p. 267. ↑ Blakemore 2011, quoting William Hunt: "No, absolutely no competent student of the period, historical or literary, has ever taken this theory seriously. First of all, the founding premise is false -- there is nothing especially mysterious about William Shakespeare, who is as well documented as one could expect of a man of his time. None of his contemporaries or associates expressed any doubt about the authorship of his poems and plays. Nothing about De Vere (Oxford) suggests he had any great talent, and there is no reason to suppose he would have suppressed any talents he possessed. "; Sutherland & Watts 2000, p. 7: "There is, it should be noted, no academic Shakespearian of any standing who goes along with the Oxfordian theory." Blakemore, Bill (14 October 2011). "'Anonymous': Was Shakespeare A Fraud?". ABC News. Retrieved 26 August 2012. Niederkorn, William S. (10 February 2002). 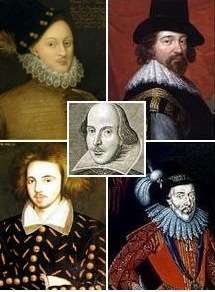 "A Historic Whodunit: If Shakespeare Didn't, Who Did?". The New York Times. Retrieved 25 June 2013.